I want to create magic wedding pictures for you. Pictures that, just like music, can make you in an instant go back to those specific scents, feelings and memories of your wedding. Here’s where you’ll find my selection of wedding pictures that sparkles just a little extra. How it may look like when I get the honour to document this lovingly, special day in couple’s life. I love dogs, dancing (wether it’s in the kitchen to guilty pleasures or somewhere cooler with cooler music). I strive to explore vulnerability and lightness versus darkness in both life in general, but most of all in photography. I’m based in Stockholm, Sweden but will of course travel wherever you’re getting married. WHAT DO YOU LIKE ABOUT MY WEDDING PHOTOS? FYI, sometimes my emails end up in spam mail for some reason. Please check your spam if you haven’t received any email from me within a couple of days in your ordinary inbox . Pinterest, this bottomless source of inspiration. One of my Pinterest boards I’ve created to inspire me as a wedding photographer and hopefully my current or future wedding clients for when you create your wedding. Colors, food, clothing, decoration, feel and look. The pins aim to create a feeling and inspiration. Enjoy! Please note that the pictures are not mine, unless stated otherwise. 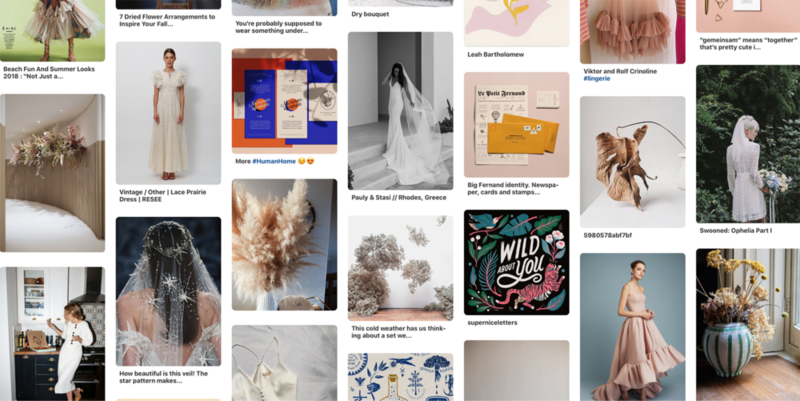 Click on the screen shot to get to the Pinterest board!